The Writer's Challenge: Want an ARC of The Pulse? 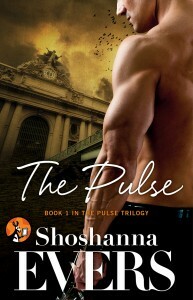 Want an ARC of The Pulse? Please note: If you already got your ARC before 10/15/13, then you were probably given the wrong book (a mix up that probably occurred because both books are called The Pulse and both have a heroine named Emily!). :( But the correct book file is now available! More info from Goddess Fish: "The Book Blast Tour will take place on Monday, November 25, 2013 and is limited to the first 25 people who sign up. This tour will not include interviews or guest blogs; however, a blurb, excerpt and author bio will be provided to every host for inclusion on their blog. Additionally, a PDF copy of this story will be available for review in conjunction with a promo post. Shoshanna will be awarding a $50 gift card for either Amazon or BN to a randomly drawn commenter during the tour." The Pulse is on Edelweiss now!